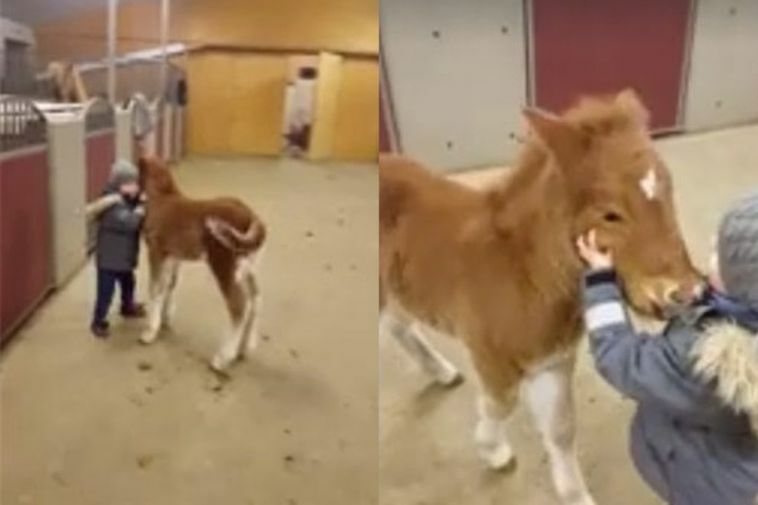 A video of a four-year-old boy and a foal has gone viral in Iceland as it shows a pretty unique friendship. The boy, Þórður Bragi, and the foal Köggur cuddle, play and run around together. The video was published by Þórður Bragi's mum on her Facebook page and was picked up on by Icelandic newspaper DV today. Interviewed by DV, Þórður Bragi's mum Sigurlína Erla Magnúsdóttir says that there's a special bond between the two youngsters. "He got to see the foal when it was newborn and ever since then they've become more and more curious about each other. It's as if Köggur really seeks him out, he's much more fond of him than us." She adds that the two of them play a lot together. So here you go, here are the two friends during playtime.